This book provides comprehensive and, above all, business focused guidance on the fundamentals of business law and how they should be integrated into ethical and effective business decisions. It concentrates on legal principles and thereby is able to articulate the impact of global business law and its international applications providing a comprehensive overview of the legal and ethical principles which both facilitate and regulate corporate business. This is an ambitious undertaking, yet arguably no more ambitious than the projects undertaken by global business leaders making business decisions around the world. The author combines the expertise of a long-term blue chip law background with the insights of an experienced business educator. 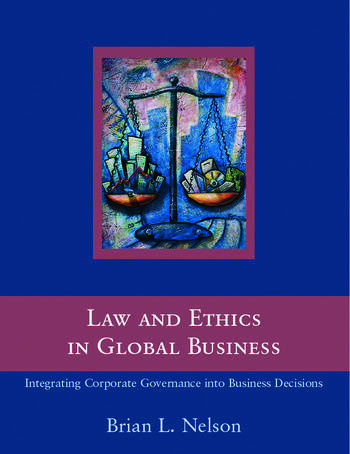 Law and Ethics in Global Business is both a comprehensive course book for MBA study and an invaluable business reference source for any executive involved in global business.